Not too long ago did I have the tasteful displeasure (or distasteful pleasure) of watching John Carpenter’s now horror classic, ‘The Thing’, also being among the few movies that was able to see a reversal of fortunes as the audience started appreciating it over its time. Point being, that the theme or story motif of a group of men trapped in an unforeseen circumstance, while paranoia and uncertainty take over each one of them slowly is definitely better experienced when Tarantino does it, grooving to K-Billy’s super sounds of the 70s, and when the protagonists aren’t hacked and slashed by a shape shifting monster, but by themselves. 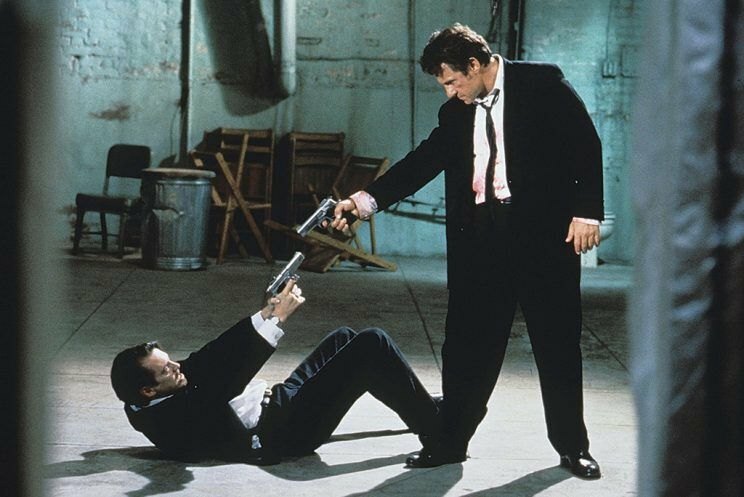 ‘Reservoir Dogs’ is a classic in every right and a benchmark in indie filmmaking, introducing to the world the force that was Quentin Tarantino, and his uniquely bizarre style of filmmaking. It’s all there, the non-linear storytelling, the stylized violence on the beats of 70s and 80s classics, the irreverent dialogue and the long drawn, seemingly normal conversations that go on and on only as you see yourself sucked into those unwittingly so. (Remember the opening discussion about Madonna’s ‘Like a Virgin’?) While it is nowhere near his best work, the director having exceeded himself on several occasions after this one, ‘Reservoir Dogs’ for me will remain his most definitive work in ages. This is where it all began, and this is where he first did all things Tarantino that you know him today for. Here, we present an analysis of the ending of the Tarantino film that everybody saw after ‘Pulp Fiction’. Read on. As far as the iconic ending of ‘Reservoir Dogs’ is concerned, there is little that remains ambiguous about it, more than two and a half decades since its release. 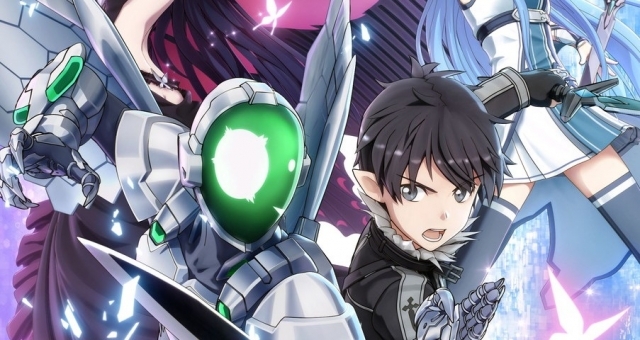 However, there are a few interesting observations in there that really warrant a discussion, as they have over various forums on the internet over the years. It is these observations that we wish to cast a light upon through this conversation. 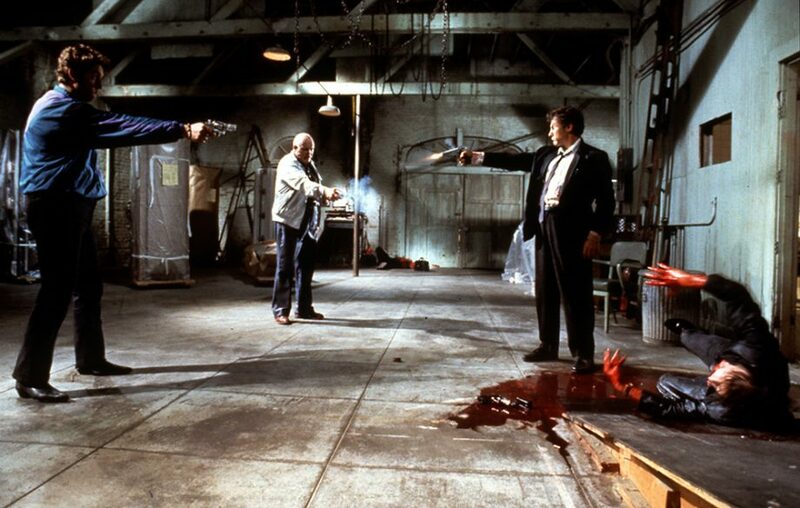 For the sake of discussing the ending, let us rewind to the beyond iconic Mexican standoff between Mr. White, Joe Cabot, Nice Guy Eddie and Mr. Orange. 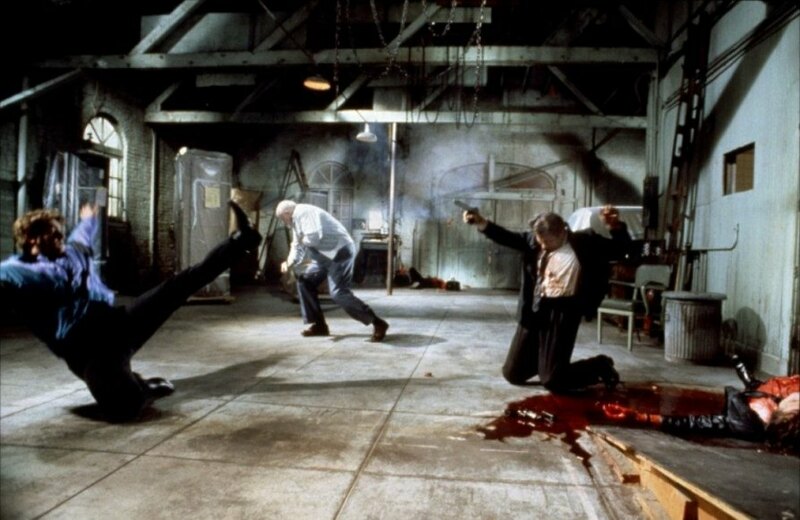 As it so happens, even at this point in the film, quite a few people have turned up dead, including Mr. Brown (Tarantino himself) who was shot in the head during the heist, Mr. Blue, who is revealed to have died by Joe Cabot when he turns up at the warehouse, making only a brief appearance in the film in the opening conversation, Marvin Nash, the cop that Mr. Blonde had kidnapped as he flee keeping him at gunpoint after torturing him to within an inch of his life, shot dead by Eddie, and Mr. Blonde himself, shot by Mr. Orange who then makes the revelation to Nash that he indeed, was the undercover cop. From the very beginning of the film, it is evident that White harbours a soft corner for Orange, with him bleeding out in his arms after being shot by a woman passenger whose car they hijack in the aftermath of the heist. During the Mexican standoff, White stands up for him and defends Orange, who Joe points a gun at and accuses of being a snitch based on his “instinct”, and his inability to doubt Blonde according to Orange’s made up story, that he was willing to ambush all of them and flee with the diamonds since Blonde is a trusted ally to the Cabots as revealed in his back story when he is offered the job: he doesn’t snitch on Joe once in exchange for a reduced prison sentence. Enraged by all this, Eddie, too, points a gun at White for humiliating his father. The Mexican standoff is thus staged, and goes off when Joe shoots the already dying Orange, Edie shooting White, and White, before falling, shoots both Joe and Eddie in a matter of seconds. That is when we come to the beginning of the ending. Groaning in pain, a shot down White cradles Orange in his lap, still believing the two will survive, as he tries explaining to a flailing Orange that they might have to do a little time, as the sound of police sirens draws closer, and he submits to his supposed fate, before Orange actually makes the revelation of being an undercover cop and having set up the entire heist. An almost heartbroken White starts wailing even as Orange repeatedly feels sorry having wronged him for trusting him, as swarming cops evidently surround the two. Despite warnings, White shoots Orange out of spite, and is supposedly taken down by the cops on scene. Despite the fact that mostly all of this happens while the camera closes up on Keitel’s face, much of it is pretty obvious through the body movements and the gunshot sounds. White, after evidently being shot, falls to the ground, as the credits start rolling. A regular topic of discussion for cineastes regarding that ending has been if Mr. Orange actually meant that apology for White, as he lay dying in his arms. The general consensus is that since White was such a good man to him after he was shot, despite being complete strangers before the heist, a dying Orange was overcome by guilt and genuinely wanted to confess before passing to a man he felt did good by him. In a way, it also presses upon the blurring of the lines between the supposed “good” guys and the “bad” guys towards the ending of the film, which is a classic trope for films of this nature. I for one, truly believe that Orange was sorry in everything that he said or did, or even for being involved in the whole mess. He may have been too far gone, but here is a duplicitous undercover cop who has already shot a civilian, seeing an “honourable thief” who had just taken a bullet for him. Extending the scenario into probability, if Orange believed he would have survived, he could have simply not done anything and let an oblivious White be arrested and bide his time in prison. Whether under those circumstances, White would have discovered Orange’s true identity or not is a whole new probability within that probability, a place where we’d rather not go. However, seeing as though the way the events conspired, it would seem rather evident that a dying Orange did actually confess in all his heart to a man he has begun to see as someone more than a criminal; one can almost feel a tender connection here. An alternate theory would also suggest that since Orange knew that cops were already closing in on the place, he confessed in an attempt to actually save White from jail time. However dubious that may sound, even as White submits to his supposed fate that the two would have to do some downtime in jail, Orange knew that his confession would get the better of White and that he would react in a way that would make the cops hostile. A bit far-fetched, I agree, but debatable nonetheless. 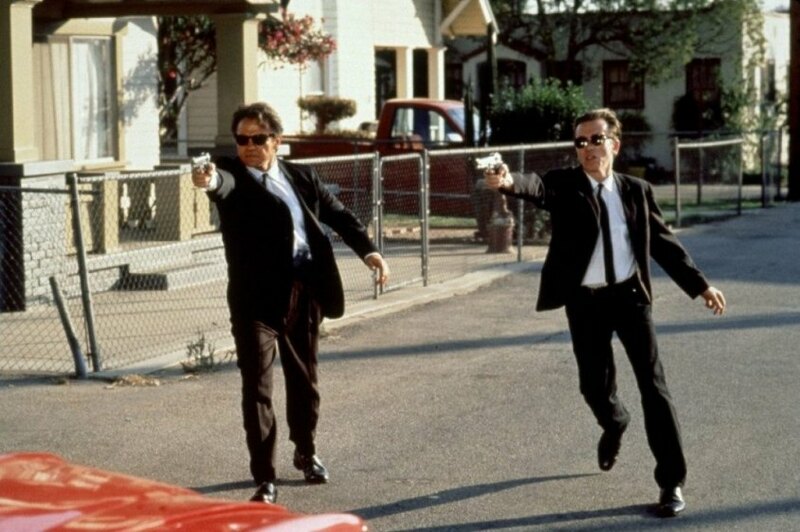 Overall, the ending of ‘Reservoir Dogs’ works because it is so bleak yet satisfying. We have a bunch of truly deplorable guys who meet rather deserved ends, and in the end, a good guy who isn’t that good, and a bad guy who as it turns out is not as bad. The most motor mouthed character of the lot, Mr. 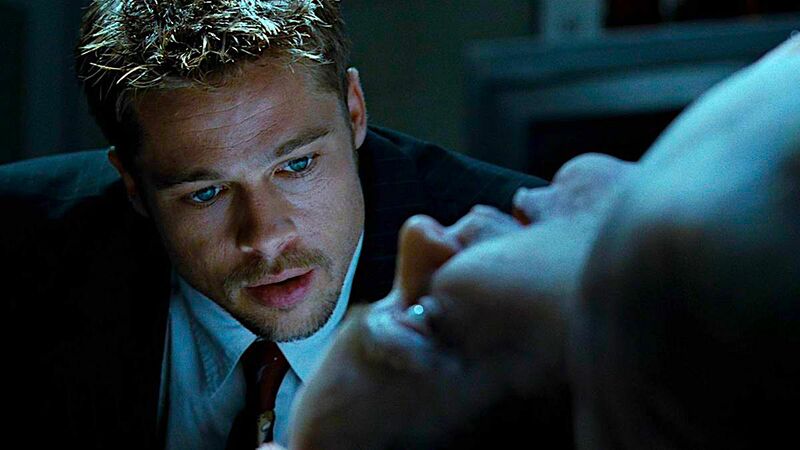 Pink, has a fate that Tarantino thought was better left open ended. The last we see of him on the screen is when following the Mexican standoff, he emerges after taking cover under a ramp, trudges towards the entrance with his gun, picks up the bag that Joe and the party had brought along, and proceeds outside, as Orange and White lay dying. It is presumably evident that the bag had a share of the loot that Pink wanted to make off with. He may have even did it, in all probability. However, adding to the bleakly satisfying ending that may not be as ambiguous in the first place, we hear very faint gunshots if you listen closely, almost as soon as Pink steps out of the warehouse. It would then mean that even Pink saw a rather deserved end as he was trying to make off with the loot, the blood diamonds. He too was shot down in a showdown of sorts with the police while trying to escape, adding to the list of ill-fated events this heist brought along. 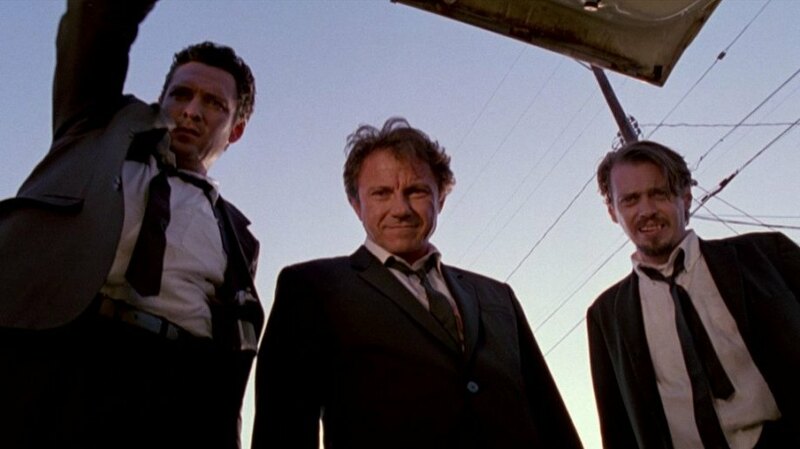 Contrary to what a lot of people out there believe, not ‘Pulp Fiction’, but ‘Reservoir Dogs’, for me, remains the most ‘Tarantino’ film by Tarantino. I will give you a minute to soak the last one in. Yes, I agree that it is a questionable choice since ‘Pulp Fiction’ is agreeably the more popular and obvious one. I also agree that while the latter might be where it fully materialized, ‘Reservoir Dogs’ is where it all began. All tropes and motifs one might consider as specific and unique to Tarantino saw their emergence in this film. A killer soundtrack as backdrop to either incredibly cool slow-mo sequences, which is the opening scene of the film here played to ‘little green bag’, or to highly stylized violence, long shots, long drawn conversations that don’t necessarily lead anywhere but serve as an alternative to character introductions, pop culture references, the dark humour, and especially the non-linear, almost episodic narrative. It’s all here if you have the eye for it. ‘Reservoir Dogs’ doesn’t need a final closing word. There are some films that more than being successful in terms of ratings, numbers or the box office are iconic in a sense that they end up changing or influencing the very landscape of cinema in the years following their release. While introducing an unforeseen directorial force in the form of Tarantino to the world, coupled with his next consecutive release, the more successful and more popular Tarantino film, ‘Pulp Fiction’, ‘Reservoir Dogs’ has managed to stand the test of time by virtue of being a work of venerated originality, a sub-genre of its own influencing every film following it directly or indirectly even remotely falling in the same zone. 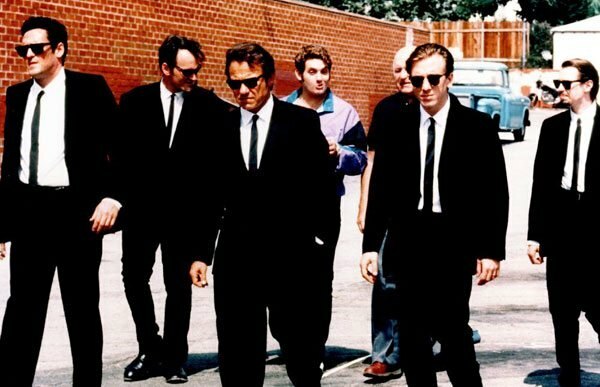 Tarantino set out to make ‘Reservoir Dogs’ with $30000, eventually ending up raising close to $2 Mil, courtesy of Harvey Keitel who liked the script so much; he not only agreed to bankroll the project but to star in it as well. Despite that, the film is highly regarded as one of the best independently produced films of all time. 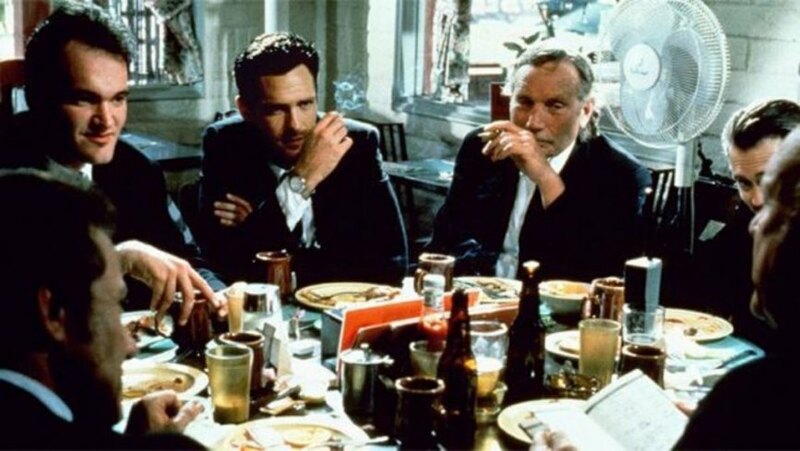 So much so that if you are an aspiring filmmaker, ‘Reservoir Dogs’ would be the one film that would almost always end up on the top of films that you must watch. I concur.